On the Mark Enhanced Tactical Training is the newest training facility of its kind in Lubbock, Texas and specializes in training both the novice and expert on proper firearms handling. Our CHL programs offer a 4-6 hour training session mandated by the State. On the Mark also adds the experience of shooting on our Military Grade Laser Range Simulator. Laser training adds accuracy, speed, and the judgmental aspect in the comfort of our training facility. Judgmental training gives you the opportunity to practice “shoot or no-shoot” skills in real life scenarios. Our equipment is State-of-the-Art and has been used by many professionals across the State. The importance of being able to protect you and the ones you love is a priority and this training gives you the confidence to do just that. On The Mark Enhanced Tactical Training offers many different types of classes that address a variety of training needs and offers opportunity to gain experience in the area of your choice. Browse our Classes Page and don’t hesitate to call us if you have a question or would like to schedule a class! Jade moved to Lubbock in February 2016 from Oklahoma City. She was the former Director of Social Media at Fowler Automotive where she monitored their online reputation. She graduated from the University of Central Oklahoma with a double-degree in Public Relations and Advertising. 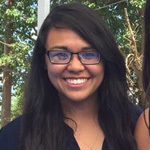 Jade is responsible for scheduling classes, advertising On the Mark on a variety of outlets, editorial and design of all publications, and social media management. In her spare time, she spends time with her son, Asher, family and catches up on reality TV shows that have piled up on her DVR. 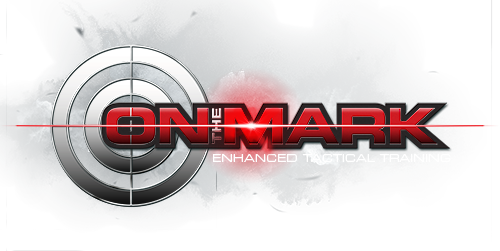 Ray Dunn is the founder and C.E.O of On The Mark Enhanced Tactical Training. Ray has been working in the security field since 1989. He is certified in courthouse security by Sam Houston State University and is well respected in the industry as a trusted expert. 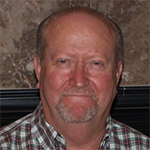 Ray has completed the ALICE Implementation Training and has attended numerous product and industry training programs to stay current on the latest products and services. With customers in most of the counties in Texas and several in other states, Ray has a very extensive customer base ranging from law enforcement to school districts. Ray has completed his NRA Certified Firearms Instructor training and is currently working towards certification as School Safety Trainer. In his spare time, Ray enjoys hunting with his five grandkids and watching them participate in football, basketball, baseball, and band. He is also an active member of Southcrest Baptist Church.